A woman was sexually assaulted in San Pedro and police asked for the public’s help tonight in identifying the suspect. On Tuesday, between 6:30 and 7 p.m., the victim was walking into her home in the area of Centre and 11th streets when the suspect pushed her inside and a violent physical and sexual assault occurred, according to a statement from the Los Angeles Police Department. 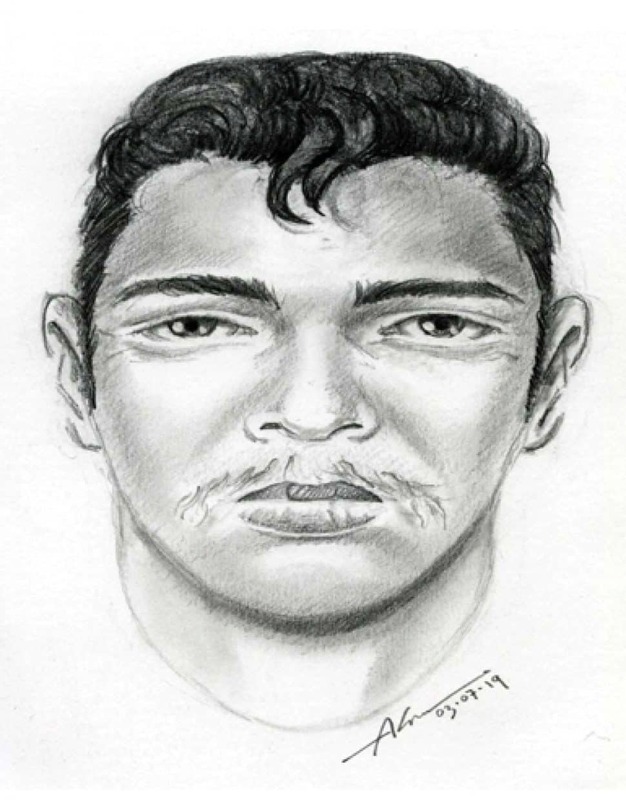 Los Angeles police released a sketch of a man suspected of sexually assaulting a woman in her home on March 5, 2019. After the assault, the suspect ran off in an unknown direction. The suspect was described as a Hispanic man between 25 and 35 years old, with black hair, 5 feet 6 inches to 5 feet 8 inches tall, weighing 150 to 170 pounds, with a light mustache and tattoos on both arms, police said. Anyone with information about this incident was asked to call LAPD Harbor Division Detective K. Porter at 310-726-7861.